Recently I headed out to a local state park with my usual gear, plus two items I don’t normally take on a photo walk: my tripod and a new .9 Neutral Density filter. I had been so impressed with the work of 2 Guys Photo Featured Photographer Vassilis Tangoulis that I ordered an ND filter and chose this location for it’s many roaring and cascading waterfalls, which seemed like a made-to-order setting for an ND filter. 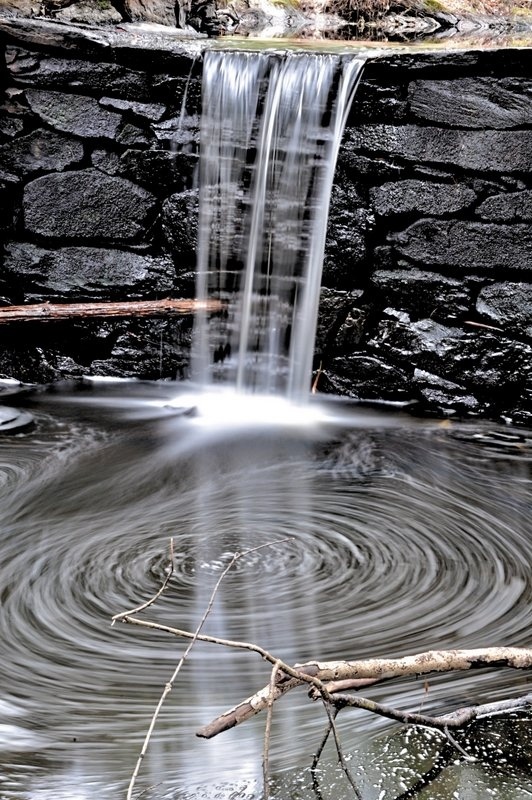 But alas, the drier than normal spring had left the streams almost dry, and the waterfalls barely a trickle. I was not going to see much in the way of falling water this day, I concluded. But, having trekked in, and anxious to break in the new filter, I set up for a few shots anyway. 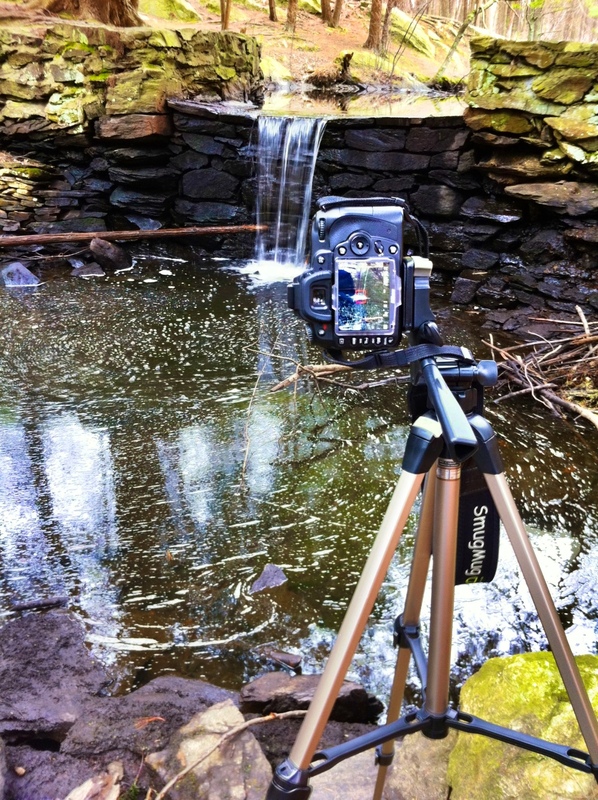 This shot shows my gear in position and one of the anemic waterfalls. The water was falling into the pool and flowing into perfect little eddies of circulating water. I could have looked at that scene forever and not noticed the slowly moving water flowing like that. Now I don’t expect National Geographic to pick up these photos for a cover, but I still thought this was a cool discovery, especially after seeing a drip when I was expecting Victoria Falls (I tend to exaggerate). I haven’t gone back but suspect that there’s not much more water now than there was then, so I’ll have to look elsewhere. 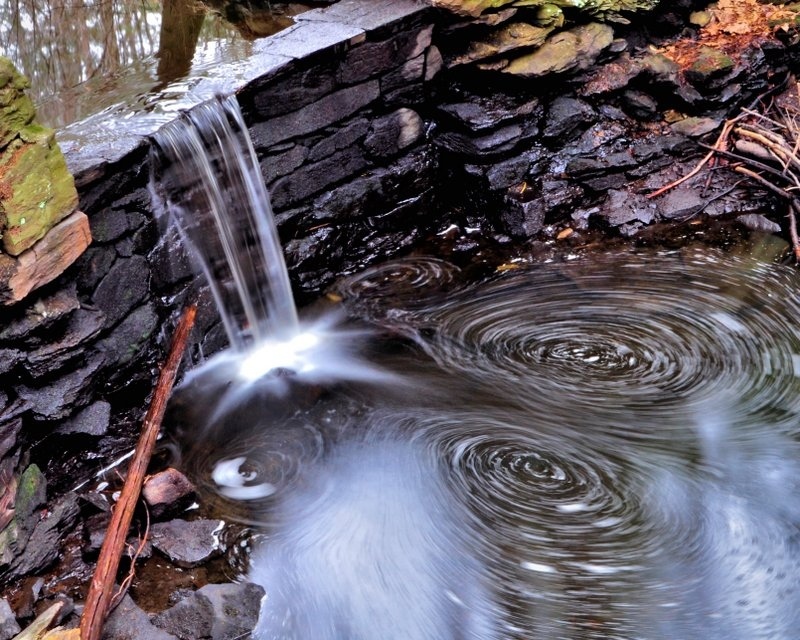 Tell us about your experience with neutral density filters, or better yet, show us! Thanks for visiting 2 Guys Photo. This entry was posted in Daily Photo, Gear & accessories, Images and tagged 2 Guys Photo, filter, neutral density, photography, state park, water, waterfall. Bookmark the permalink. Maybe not the greatest waterfall, but a couple of cool shots, Ed, nice work…may start thinking about learning to use a ND filter! 2. Sometimes you can see more than meets the eye through the lens of a camera. 3. Sometimes you get lucky! Wow! I am amazed by what the camera captured. Well done Ed! I think National Geographic SHOULD so off these photos! They can probably used in some science experiment or optical illusion too! Thanks as always for sharing cool photos.